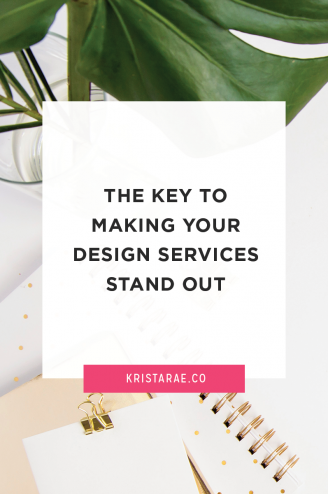 Using the right tools to run your design business can make everything a whole lot easier. It can be the difference between emailing clients back and forth 4 times to schedule a meeting versus sending them one link. It can be the difference between an unreliable website that is down on a daily basis versus a reliable one that runs quickly. I’ve spent a lot of time over the first couple years of my business experimenting with tools and finding the ones that will make my life easier without breaking the bank. 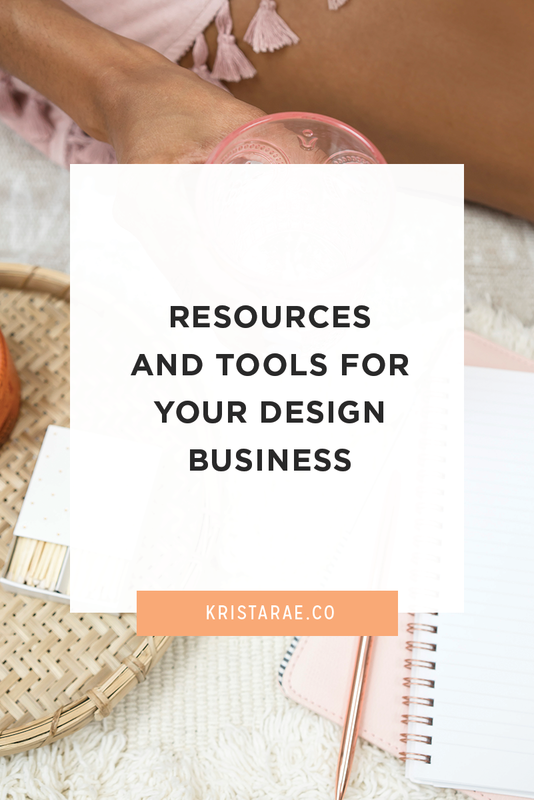 Today I’ll share those tools with you in hopes of making your business run a little more smoothly as well! Let’s start off with tools specifically for the design and development aspects of running your business. From tools used to design and code to reliable WordPress themes (when not designing from scratch), these are things that make the actual client work in my business go a whole lot more smoothly. InVision – There are a lot of ways to provide your final website mockups to both your client and your developer. The problem with a lot of tools is that they aren’t interactive so your client has to look at a picture and try to imagine what it will look like on a website. This also becomes an issue when you’re working with a developer, as you can’t show things like hover effects or where different pages should link to. InVision solves absolutely all of those problems and I’m a huge fan. The projects I do where the designer has used InVision always go more smoothly as it looks just like an actual website, you can see hover and transition effects, and even click through to different pages. Sublime Text – Sublime Text is my tool of choice for all the coding I do. I love the simplicity of it while still allowing for keyboard shortcuts for things like formatting, commenting, find-and-replace, and more. And hey, the ability to customize colors is always fun too! Aside from using Sublime for coding, I often get a lot of crap from my less-techy friends for using it as my go-to text editor and for taking notes. What can I say, I love it! FileZilla – As much as I love to avoid FileZilla when it comes to coding themes, it’s my absolute favorite tool for accessing sites via FTP. I find it easy to use and navigate between folders and I love that you can save your sites right within the tool. And a bonus is that all the popular hosting companies allow you to download files to import FTP settings right to FileZilla. Beaver Builder – I don’t know what I ever did without Beaver Builder in my life. Actually, I do. The themes I developed for clients were a whole lot messier and more difficult to manage. Beaver Builder is the builder to use when it comes to setting up custom pages for your client projects. It’s quick, makes it easy to separate code from places your clients will be editing, and it doesn’t leave shortcodes behind if the plugin is ever uninstalled. I’ve never run across something in a mockup that I couldn’t make happen with Beaver Builder. Coded Creative Themes – Next up is my favorite shop for finding strategic, reliable, and gorgeous WordPress themes. But I’ll admit, I’m about 100% biased because I co-own the shop with my bestie, Kory. At Coded Creative we focus on creating themes that are both nice to look at, but also super functional and strategic to help support your clients’ businesses. 259West – The next place I love to look for WordPress themes is 259West. As of writing this there are 4 themes to choose from, but they’re all incredibly well-coded and the perfect fit for clients who want a unique, yet still traditional look. StudioPress – And last up, when clients on a lower budget don’t love anything they see at one of the first two shops we looked at, StudioPress is always where we end up. They have a huge variety of themes that you can 100% count on to be reliable and well-made. From Mockup To Code – And of course I have to plug my own course. 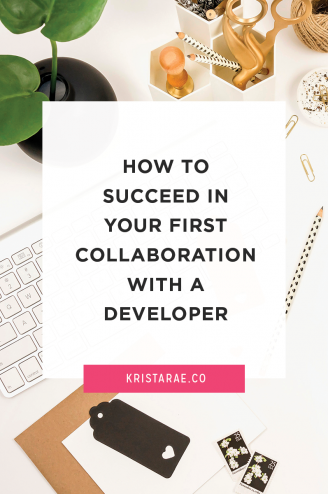 Megan and I created From Mockup To Code to make the process of collaborating with a developer less intimidating. Inside you’ll learn everything you need to know to create a system to make it all easy. Design Your Own Pixel Perfect Production – Last up is my best-selling product. This workbook and eBook combination walks you through everything you need to know about designing websites that actually get your clients results. And remember, getting clients results means more referrals, better testimonials, and an impressive portfolio for you! Let’s move on to some of my favorite client management tools. For the first year-ish of my business, all of my client management was done through email. That means going back-and-forth to schedule meetings, ending up with threads over 100 emails long throughout the project, and a whole lot of losing important information. These tools have made everything about my client process a whooole lot easier. Content Snare – You know how you get a client that’s in huge rush to get started, you get everything ready to dive into the project, and are then stuck waiting for their content? Seriously the worst. Content Snare has absolutely solved this problem for me by allowing automation of the entire content gathering process. You can create templates for the type of content you need for each project (everything from pieces of text, images, choices, dates, galleries, and more). 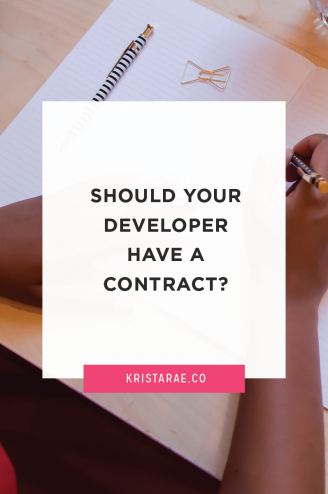 From there you apply the template to your project along with a sequence of follow-up emails (which you’ve also already created) and let Content Snare do it’s job. It does all of the client follow-up for you and you don’t have to worry about anything until you get the notification that all of the content has been gathered. So. Nice. Acuity Scheduling – Acuity is my absolute favorite tool when it comes to scheduling client meetings, coffee chats, or team meetings. With it, there’s absolutely no need to go back-and-forth in an email trying to find a time that everyone is free. Instead, you can create different types of meetings of varying length and price and assign forms for people to fill out based on the kind of meeting they’ve scheduled. For example, if someone schedules a coffee chat I don’t need any extra information. But if someone schedules an hour of consulting I can collect information on the questions they have for me as well as the payment without any extra steps. Asana – Asana is where I track all of my client projects as well as communicate with my team. It’s so nice and easy to use that I’ve never had a client struggle to figure out how to use it. I love that you can separate tasks into sections, add tags, assign them to people, include detailed descriptions, and comment back and forth. So much more organized that trying to track everything through email! Boomerang – Next up is the Boomerang Gmail app. I could have included it in a lot of different sections, but I find that I use it most for client communication. Boomerang allows you to both schedule emails to go out in the future as well as tell emails to disappear from your inbox and come back at a different time. I love that I can respond to client emails after hours and have them sent during business hours the next morning. It’s also handy when an email contains a task you have to take care of, but don’t want to worry about right now. You can schedule it to come back in a couple days! Stripe – And last is Stripe. I used to collect all client payments through PayPal, but after a crazy client disputing her down-payment after work had been done and winning the case, despite my iron-clad contract, I decided to ditch PayPal for something that was a bit more reliable. I’ll be honest, I’ve never had a client start a dispute in Stripe so I don’t know how different the results would be (and I hope to never find out), but I’ll certainly stick with it for now. The one downside is that they hold onto your money for longer than PayPal does, but since I never have immediate need for the money I make on a client project it’s not an issue for me. Next up are tools for selling digital products and setting up funnels. Both of these things can be great compliments to the client work you already do. Even if a product only brings in a couple hundred dollars extra per month, it’s a nice little bonus! And funnels are a great way to make sure your new email subscribers are getting introduced to your products and services in a way that will make them more likely to purchase. Deadline Funnel – Deadline Funnel is the absolute best tool once you get more advanced funnels up and running on your website. If you’re familiar with selling products you know that people respond better if there’s a time-limit on the offer they’re given. I use Deadline Funnel in every one of my funnels to give potential customers a limited-time offer before they’re then shown the product at the regular price. It’s perfect for both launches of a product and your evergreen funnels. ConvertKit – ConvertKit is my email marketing platform of choice. I was on MailChimp for a long time, but once I started needing advanced tagging and automation features I jumped onto ConvertKit and haven’t looked back. The best part is that they’re always adding new features to give you a lot of what other platforms charge hundreds of dollars per month for. LearnDash – I’ve always hated hosting my courses, workbooks, and other resources on a third-party site like Teachable and I finally found a WordPress plugin that does everything I need without costing a fortune or being a pain to set up. LearnDash is what I use to host all of my paid products! WooCommerce – WooCommerce is my go-to tool when it comes to selling just about anything on a WordPress site, both for myself and my clients. It has a great integration for LearnDash if you’re hosting courses and is easy to use for digital products like printables, workbooks, and WordPress themes! If you need a lot of special functionality, the add-ons can get pricey pretty fast, but it’s nice to know that you can do just about anything you want. AffiliateWP – AffiliateWP is the tool we use for our affiliate setup over at Coded Creative. It takes a little work up front, but afterwards it is super easy to add and manage affiliates, see stats and tracking information, and get everyone paid out without a huge headache. Vimeo – Vimeo is where I love to host all of my course and challenge videos. Previously I was using YouTube, but didn’t like that there were limited customizations for embedding and that sometimes my private videos would show up at the end of my other videos. Kind of defeats the purpose of expecting people to pay for them. Vimeo is super easy to use, has a lot of privacy settings to play around with, and gives you a lot of control over how videos will look when embedded in your website. Interact – Last up is Interact. There are a lot of places I could have put interact in this post, but I thought it fit best here with products and funnels because it’s a great way to get new subscribers into your funnel. Interact is a tool that allows you to build and publish quizzes super easily. I wrote more about using quizzes in your design business here. Definitely check it out if you’re looking for a fun way to generate more leads! Now for a few tools that make my business run more smoothly, in general. Trello – Literally the only reason I get anything done is Trello. Maybe not literally, but this is the tool that keeps me organized enough to manage multiple businesses, client projects, and a podcast without constantly losing track of things. There are a few strategies I use to make it so useful, but I learned them all through a couple amazing courses that I’ll include a bit farther down in this post. Google Calendar – The next tool that keeps me sane is Google Calendar. I absolutely love that I can have multiple calendars to toggle on and off with things like the way I time-block my days, personal appointments, and specific tasks for each business. Google Sites – While we’re on the organization topic, let’s talk about organizing systems. Once you start growing a team it’s important to have all of your systems documented. The problem is keeping them all organized in a place that your team members can easily access. Thanks to a recommendation from a coach, I have all of my systems and processes outlined in Google Sites. It’s basically it’s own little website that contains nothing but documentation on the way my business runs. So handy! Google Drive and Dropbox – These are two tools I use to organize my files and share them with team members and clients. I have a system that really only makes sense to me for how I use them each, but they both do their job very well! LastPass – When running a design business, you constantly run into the need to have clients share login information with you. It’s never good to pass this type of information back-and-forth in emails and some clients might be hesitant to share their information at all. So a tool like LastPass where passwords can be shared without allowing you to see the password is a great option. Clients can then remove your access once their project is complete for a little more peace of mind. Wave – Wave is the tool I currently use for all of my business accounting. It’s definitely a step up from the spreadsheets I was doing before and I love the reports I can quickly pull to see my numbers. It is a little buggy at times, but hey, it’s free so I’m not complaining too much. Namecheap – Namecheap is where I go to purchase all of my domains. It’s quick, easy, reliable, and reasonably priced so I’ve never had a reason to look elsewhere! Siteground – There are sooo many webhosts out there and let me tell you, as designers and developers we pretty quickly get an idea of which ones are good and which are bad. Siteground is my absolute favorite option for people who want speed and reliability without breaking the bank. It’s currently where all of my sites are hosted and I don’t currently have any plans to change that. WP Engine – Although Siteground is amazing, sometimes clients with more complex needs or a lot of traffic need something a bit more. For those clients, I always direct them to WP Engine. Styled Stock Society* – And last up is my very favorite resource for stock photos. I’m all about things being girly and filled with bright colors so the Styled Stock Society is perfect. It’s super easy to login and grab the photos each month and the price is amazing for the quality and variety! Social media is huge when it comes to running a small business, but it takes a loooot of work. I do outsource all of my social media to an amazing assistant, but these are the tools the two of us have put in place to make it happen. SmarterQueue – Next is SmarterQueue. Before I found this tool I was using Buffer, but wasn’t really impressed by the limitations and fact that I couldn’t loop through past posts easily. SmarterQueue makes creating evergreen posts sooo easily and I love that you can create schedules for different types of content like promos, content, other people’s content, quotes, and more. You can even load RSS feeds of blogs you like to share into your SmarterQueue account so it’s just 1-click to add them to your queue! Later – The last tool I use for social media scheduling is Later. It makes planning Instagram posts in advance so easy. I love that you can do a preview of exactly what things will look like on your feed as well as set specific posting times for each day of the week. I don’t know about you, but I’m a sucker for functional and pretty office supplies. Here are some of my favorites! Varidesk – Especially in my busy seasons where I’m working way too many hours per day, having no choice but to sit gets a little old. I finally took the leap to buy a standing desk and absolutely love it! I don’t use it every day, but it’s certainly nice to have the option available. Blue Light Filter Glasses – Along with sitting all day comes staring at the screen. And let’s be honest, I usually go from staring at a computer screen doing work to staring at some other type of screen in the evening. Around 2:00pm each day I’d notice my eyes starting to feel strained, giving me the feeling that I was tired and just done for the day. I decided to give these glasses a try since it was such a small investment and I absolutely love them. They’ve totally solved the problem of my eyes feeling tired and they’re super cute! Everlast Notebook – One of my favorite finds, thanks to recommendations from Hailey and Lauren, is the Everlast Notebook. Think of it as a notebook on steroids. You can write in it with normal pens, but then erase the pages and reuse it once you’re done. You can also sync it with things like Google Drive, Dropbox, OneNote, Evernote, and more to upload your notes right to your computer. I’m seriously in love. Travel monitor – One thing I hate about working away from home is being stuck on my little laptop monitor. When I had a corporate job I had 4 large monitors and on my desktop computer I have 2. So dropping down to a 17″ laptop screen makes me feel really limited really fast. After looking around for a lightweight monitor that I could travel with I settled with this one and love it! It plugs into your laptop via USB and does the job perfectly. Blue Yeti Mic – The Blue Yeti was an investment I made when I started making courses, but it’s come in handy for the podcast. It’s easy to use, has multiple settings, and gives great audio quality so I’m definitely happy with the decision. Pop filter – Something nice to have along with the Blue Yeti is a pop-filter. It basically protects against popping sounds coming through the audio when you make noises that push out a lot of air at once. Kory and I found this one on Amazon for a great price and are both happy with how it works. Logitech C920 – This webcam has been one of my favorite buys. I’ve used it for everything from client meetings to YouTube videos to course videos and beyond. It’s easy to use, has a lot of great settings, and gives great quality videos. Tripod – Once I started doing things like Facebook lives and Instagram stories, I knew that I needed a more reliable way to prop my phone up than to lean it on my laptop sitting on a pile of books. I also needed something that would fit my giant iPhone 6s Plus, but didn’t want to spend a ton of money. This tripod has been great. You can twist it to face any direction beside straight down and there’s a wide range of height settings you can use. I also use it to hold my webcam when recording YouTube videos! Lighting Kit – Next up is a lighting kit. This probably isn’t super useful if all you focus on is design, but if you find yourself doing much video it’s nice to have a low-priced kit that’s easy to set up and gives off great natural-looking light. Diffuser – And last is my little diffuser. I love having this running next to me both for the oils I can put in it and the relaxing noise it makes as the water runs through it. It’s the perfect way to start off a morning or end a long day. Phew! I did not expect this post to get so long. But next up are a few of my favorite plugins! I’m definitely against filling your site with a bunch of unneeded plugins, but these ones have proven more than worth it for me. Advanced Custom Fields – ACF is a great plugin to use when you want to give your clients some extra options or custom functionality within their posts and pages without them having to worry about working around code. It takes a little getting used to, but opens up a whole lot of doors once you’ve gotten the hang of it. Easier Business Blogging – I could never say enough great things about this plugin. It’s the reason that my opt-ins are incredibly easy to add in each post. And when I need to update an image or the copy for an opt-in, I only have to do it in one place! I also use it to add affiliate disclosures to my posts like you see at the top of this one. It was created by my good friend Megan and is absolutely worth every penny to save yourself a whole lot of time and brain power. Social Warfare – Social Warfare is the absolute best for social sharing. It’s what adds the share buttons to my posts as well as the click-to-tweets. With the paid version you have a lot of control over which platforms you choose, where the buttons show up, and the appearance. UpdraftPlus – I used to be all about BackupBuddy, but after a few too many issues I decided to give UpdraftPlus a try. I’m seriously kicking myself for not doing it sooner. It makes backing up and migrating sites soooo easy, which comes in handy when making a test site for client projects or deploying a new design! iThemes Security Pro – And last is iThemes Security Pro. Wordfence is a great free option for security, but once I started offering maintenance packages to clients I wanted something that could do a bit more. iThemes security has more amazing options than I really know what to do with, so if you offer maintenance work to your clients definitely give this one a try. Google Chrome is a popular browser around designers and developers. Something that makes it so great are the amazing extensions that add extra functionality. Here are my favorites! Toby – Toby was introduced to me by Reina and I am absolutely in love. You know those tasks you have like starting work on a specific client project, checking all your email accounts, or maybe scheduling social media posts? The first thing you do for all of those is open a whole bunch of different browser tabs and find websites and files you need. No more! Toby lets you save groups of browser tabs and then use one click to open them all up! Loom – Loom is an amazing tool for creating quick and easy screen recordings. With a couple clicks you can select your microphone, which screen to share, and whether or not you want to show your camera. Afterwards you can add a title and grab a link to send off to whoever needs it. People watching can even add comments when they come across questions! Full Page Screen Capture – This tool is really helpful when it comes time to add a new project to your portfolio. I used to scroll down a page, taking screenshots as I went, and then piece them all together in Photoshop. This tool grabs a picture of an entire page with one click that you can then save to your computer and use how you wish. LastPass – The LastPass tool we talked about earlier in this post would be super annoying if it weren’t for the browser extension. With this extension you don’t have to worry about remembering any passwords or opening LastPass to get them each time. Instead, once you get to a page asking for login information this extension will automatically fill it for you. Yay! ColorZilla – And last is ColorZilla. This is a super simple color-picker tool that comes in handy when you want to grab the hex or RGB values for a color on a page. I’ll be honest. I’m awful at reading business books. With most of them I get a few chapters in, get bored, and never pick it back up. So while this list is short, they’re the only business books I’ve made it through and actually enjoyed. And that’s saying something! Profit First – I could never say enough about how this book has changed my business. I don’t care how long you’ve been in business, how successful, or even how new your are. Read this one asap. It will help you build vital habits to make sure your business is successful in years to come. The Universe Has Your Back – I’m not huge on woo-woo type things, but this was a great book for getting an introduction to how mindset and trusting that things will work out for the better will move you forward. I’m not kidding when I say that I had an increase in client bookings after a dry spell the day after picking this one up! Coincidence? Maybe…but who knows. 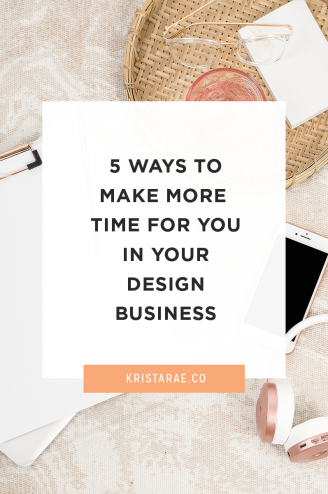 Created For This – I struggled for a long time with infusing faith into my business or even seeing how the two relate, but Created For This gave me a great start for doing just that. If you’re a Christian running an online business it’s definitely a good resource to have! Big Plan For The Creative Mind – As of writing this post, I’m just a few sections in and already completely in love with this book. I’ve never done well with the cookie-cutter goal setting strategies and absolutely love how this book gives us the chance to see the unique ways industry experts set goals and why it works for them. And last, but certainly not least are a few courses I’ve either taken myself and loved or created. They’re not all directly related to design, but can help with things related to a design business. Unstoppable Expedition – If you haven’t run across all of Erin’s amazing resources before…well…you’re welcome. She has a membership site filled with all kinds of workshops specifically for web designers. You can grab them all in the Expedition or pick-and-choose a few to purchase on their own. My personal favorite is the Intro Packet Workshop! Trello For Business – Trello For Business is probably the best $29 I’ve ever spent. It taught me everything I know about using Trello effectively and I wouldn’t be able to keep track of everything I have to do each day/week/month/year without it. The Follow Through Method – This is another course that helped me a lot with organization. While Trello For Business is great with organizing your tasks, The Follow Through Method is perfect for taking your big goals and breaking them down in a way (inside Trello) that you’ll actually follow through with. I’ve never had to postpone a project or launch and I give a lot of credit to the strategies taught in this course. Be Booked Out – I could never say enough good things about Be Booked Out. It’s not a cheap little course, it’s a full-blown group program that totally changed my business. I went from not having a clue to what I was doing with marketing and booking a couple days at a time to feeling totally confident in who I was targeting and booking out months in advance. From Mockup To Code – And of course I have to plug my own course as well. Megan and I created From Mockup To Code to make the process of collaborating with a developer less intimidating. Inside you’ll learn everything you need to know to create a system to make it all easy. Finally. Done. I never expected for this post to make it to over 5k words, but what can I say, I love me some good resources!